By now we’ve mastered the basic operation of the E-M5, we are enjoying its flexible auto-focus mode, and we’ve set up the camera completely to our liking. 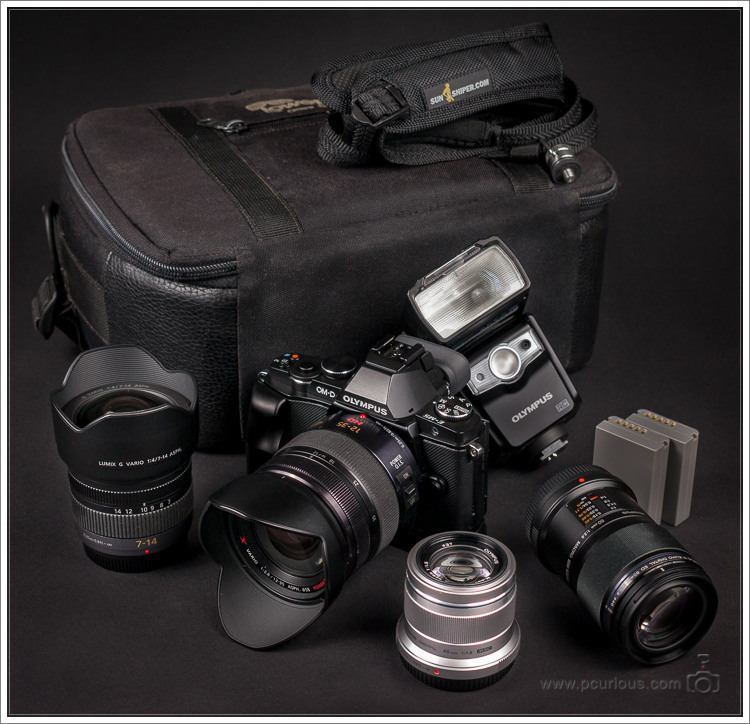 In today’s short article I’ll tie these loose threads together by presenting my cheat sheet for the E-M5. Of course, in order for it to work for you also, you should have followed at least my most important set-up suggestion: to turn on the Super Control Panel. Change the exposure compensation: rotate the front dial to the right to make the image lighter, to the left to make the image darker. Select the active AF point: use the four arrow buttons on the back of the camera. Switch between Auto ISO on and off, change the ISO value: press OK, navigate to the ISO field, rotate the front dial. On the E-M5 I do not recommend the use of Auto ISO because it chooses too short shutter speeds and thus too high ISO values. Switch between Av (general shooting) and M (tripod): set the main mode dial to A or M.
Adjust shutter speed and aperture in M: rotate the front or rear dials. Switch the self-timer between 10s (self-portrait) and 2s (tripod and no remote release): press OK, select the drive-mode, rotate the front dial. Set custom white balance: press OK, navigate to the WB field, rotate the front dial until >1< or >2< is selected. Press INFO, point the camera to something color-neutral, release the shutter. Adjust flash compensation: press OK, select the flash exposure field, rotate the front dial. Switch between image only, image with basic info and histogram with blinking highlights: press INFO. Magnify an image then switch to full-frame and back with a single button: press INFO twice. Magnify an image then switch to the next or previous image without changing the magnification: rotate the rear dial to magnify, rotate the front dial to select the next or previous image. You see? The camera might be complex to set up, but once you’ve done so, you can modify any important function extremely quickly.